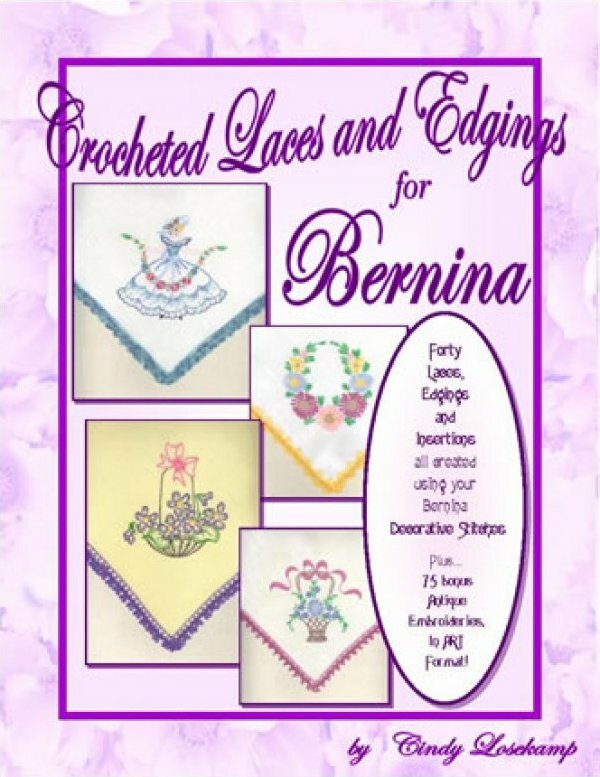 Forty laces, edgings, and insertions all created using your Bernina's decorative stitches. 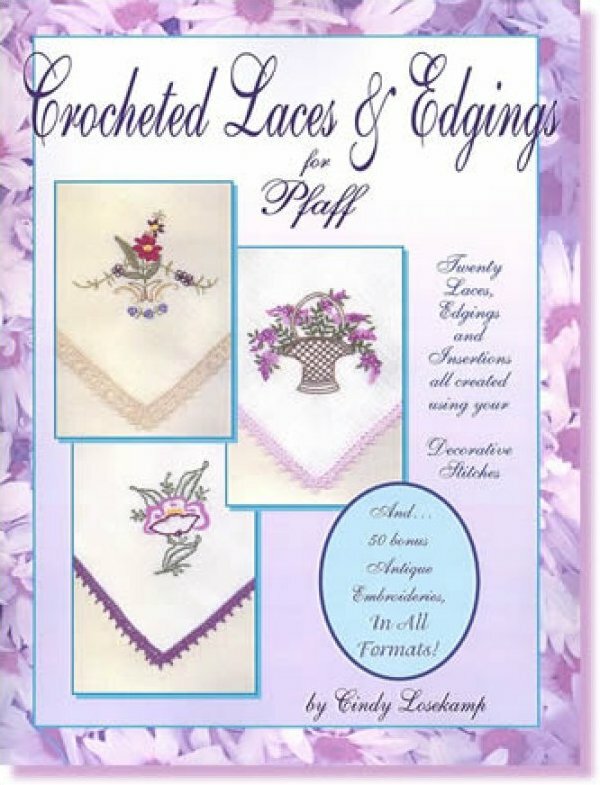 Plus: 75 bonus antique embroideries in ART format! 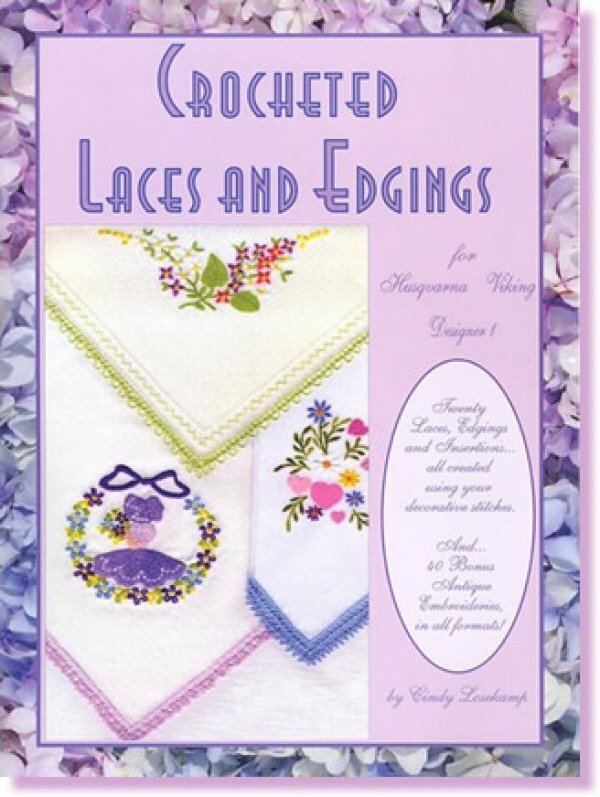 Complete instructions for creating the lovely examples shown, along with ideas for many more exciting edgings. 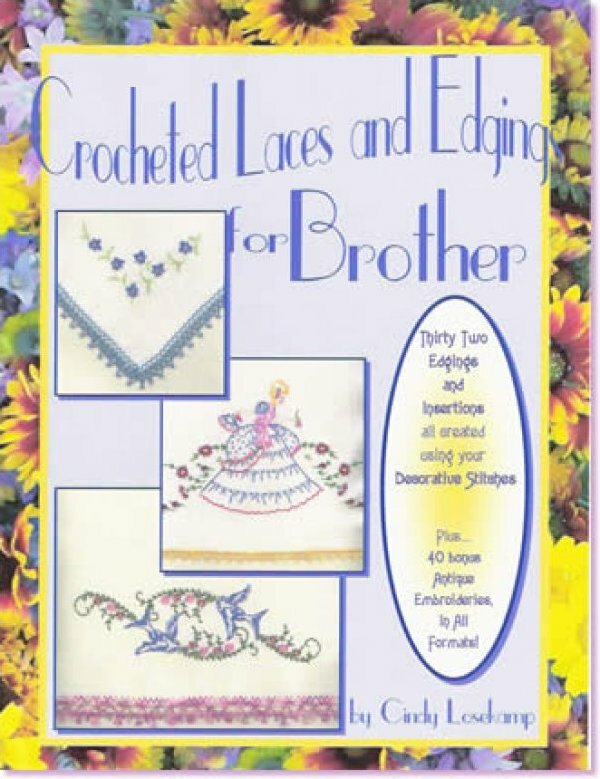 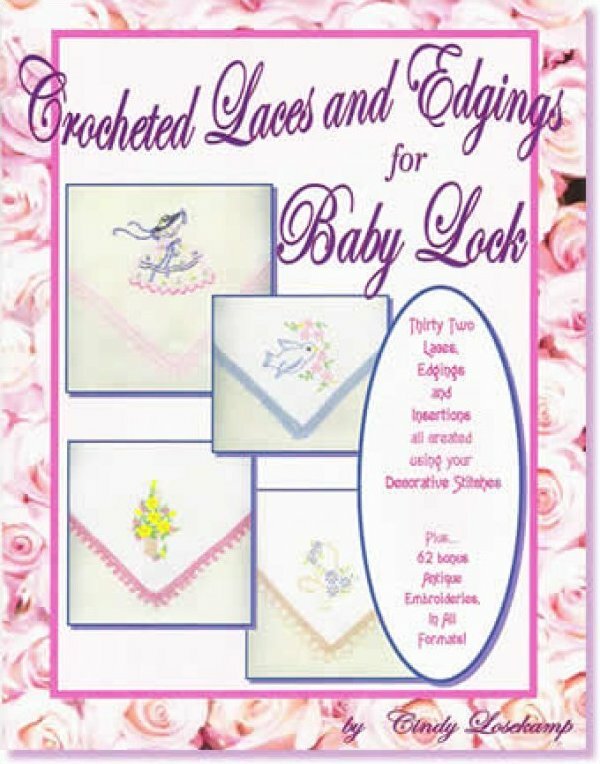 Has 90 pages, 72 embroidery designs with directions specific to the 11000, 10001, 10000 Janome machines. 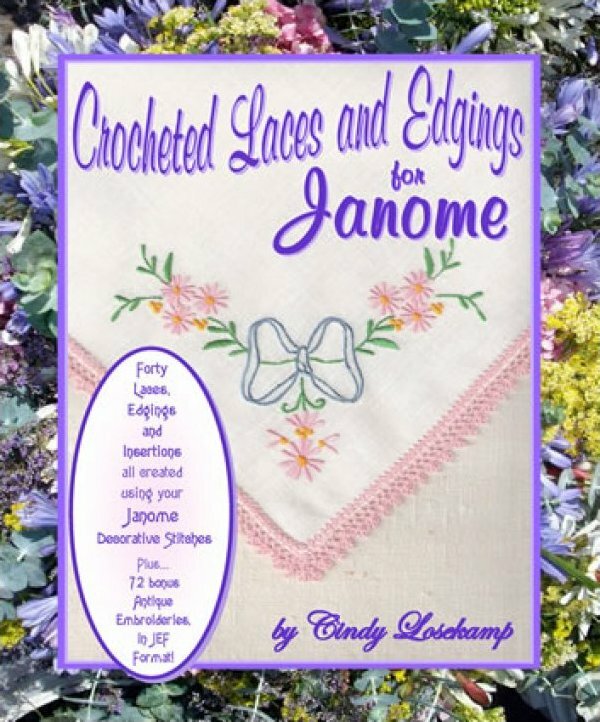 All Janome machines can use it with the stitches pictured for each crocheted edge.